New Orleans Hard Tan bricks were used extensively throughout the city both as pavers and walls. Semi-fired in the 19th century, these bricks are hard and durable, suitable for floor traffic. These beautiful bricks can also be used to construct walls, fence columns, or floors. 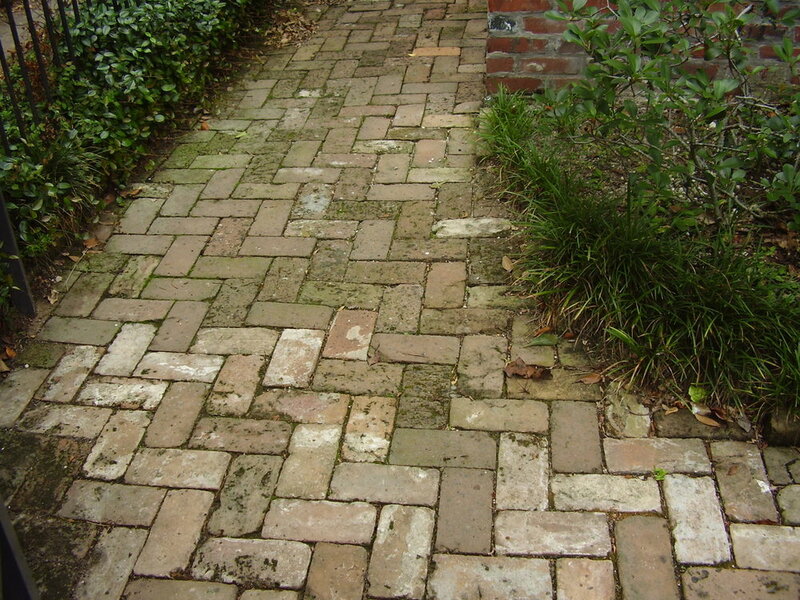 You see these bricks throughout the Garden District as sidewalks, sometimes laid in the classic herringbone pattern.